You can roll both of my Smurfs over to this one - one of each. I will take one copy, Coleco style. Hi, I just paid for the Coleco style box version. I'm on the fence with this one. I'll be looking for more screenshots/gameplay vids before I decide. As stated in the other thread, my payment can just be applied to this new game. Thanks for salvaging this. Anyone that was not shown as PAID, has been removed from list as this is a new game. If you wish to be added, its EASY! just post your interest in this thread. If you previously paid for smurf and wish to transfer your PAID status to Sydney Hunter, but are not on PAID list, PM me or email: colecomaster@hotmail.com. All PAID persons for previous Smurf game will be contacted to confirm status. A revised list will be out shortly. Edited by revolutionika, Fri Jun 27, 2014 3:07 PM. Put me back on the list please for one copy. Please, sign me in for a CBS box copy and for a COLECO box copy. Wow, there is a lot of action inside the homebrew Intellivision scene! I almost missed the release of Lost Caves of Kroz and now I learn that Smurf is now cancelled. Hopefully, the Smurf's code will be recycled to a new game. From what I here Colecovision had around 25 homebrews last year? amirite? It may reach a point on Intellivision where people can just pick and choose the titles they want the most, is that such a bad thing? A bad thing only if games are not quality as many of us are completists, including myself. 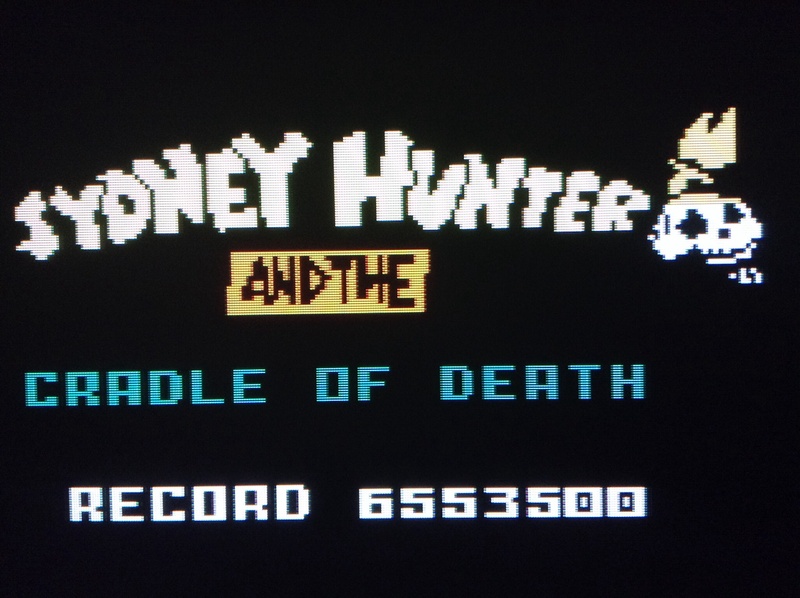 I also don't care what Coleco or other systems do as I really only care about the inty and one thing that makes it a great system is the quality and depth of its library. I don't want library to go from 125 to 250 if 1/2 of the new 125 are not good games but merely for collecting sake. This not targeted at anyone at all and is simply my opinion alone. I like to see new games made for the inty when they are good. Do I want every Coleco game ported to the inty - No. If I want to play those I can buy a Coleco system. Again, that not meant to be a blanket statement as I'm really looking forward to Ms. Pac Man and others. Confirmed I want this new game. Agree to all of that Joe! Quality of the games is just as important as the packaging. either way if it is an Intellivision game I will pick it up to maintain my collection.Plus....yes some of the Coleco games would be nice ported over but only the best ones. If I want those games I will buy them for my Colecovision! The originality of the Intellivision games is one of the things that has made it so great. Just let go....buy what you want..... don't let the 'gotta have them all' mentality dictate your buying habits. I sold most of my rare games to pay for that wonderful 'half cut' BS, and once I realized that I'd never have 'the whole set' I decided I'd only keep what I like and play. Life is simpler that way. Watch Fight Club. The more stuff you own, the more it owns you. Watch Hoarders. .... :-) 'nuff said. Less stuff more happiness, thank you! ...buy what you want..... don't let the 'gotta have them all' mentality dictate your buying habits. I could not be more agree! Well said! A video's coming soon , very soon! Cool title screen, I can't wait to see the video! Put me down for one copy of each please. Roll my Smurf into a Smurf Berry. Is this regarding the new Sydney Hunter game on the Intellivision, or for the one on ColecoVision? I ask because, as far as I remember, the Smurf game on ColecoVision was just walking down the lane, jumping fences and occasionally falling on your face (stupid Smurfs kept tripping on long blades of grass! ). I was looking forward to it because I and my wife had fond childhood memories of the Smurfs game for ColecoVision. Is the Sydney Hunter game just the same game with different graphics or does it have other elements like you mentioned above? 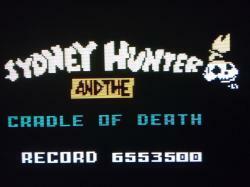 So, wait, the Sydney Hunter update from the Intellivision Smurf Rescue has cut-scenes and bosses?